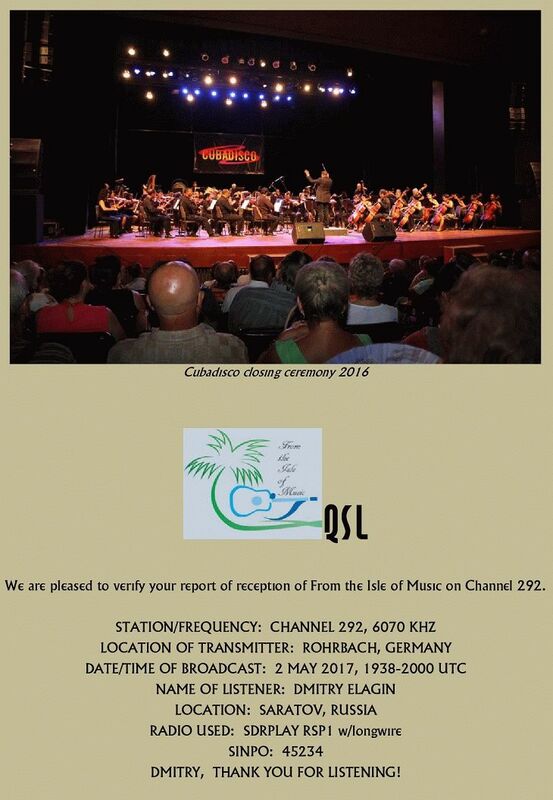 Получена новая e-QSL от станции From the Isle of Music с трансляцией через Болгарию в ответ на мой рапорт от 17 сентября 2017 года. Карточка как обычно в pdf файле с новым изображением на тему джазовой музыки на Кубе. Thank you for the report, recording and card. We are posting your card in our Facebook page. Always nice to hear from you. We have had reports of interference in some other parts of Europe on 6070, but it has been intermittent so far. 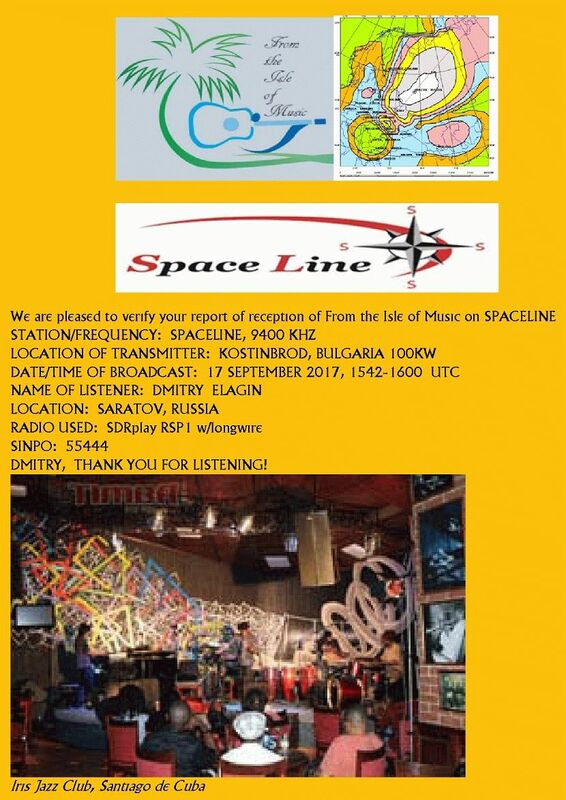 Another option for you if this problem persists might be our broadcast from Kostinbrod, Bulgaria on 9400 Khz from 1500-1600 UTC Sundays.